Perhaps curiosity has driven you to search for information regarding this lucrative way of making some cool bucks. In this ultimate guide expect me to tell you all you need to know about forex. I will endeavour to answer a number of pressing questions including what forex is and how it works. To whet your appetite, let me start by asserting that forex trading is a very lucrative business venture where you can make a lot of money. However, you can equally lose all your money if, and I mean if you fail to approach it with the level of professionalism that it deserves, more on this later. 1.What is forex and what is it’s origin? Simply put, Forex is an abbreviation for Foreign Exchange. Therefore, we can define Forex Trading involves the buying and selling (exchange) of foreign currencies. The true origin of currency trading can be traced as far back as the time of the Babylonians. During this time commodities were being exchanged for other commodities through the barter system. This system was later replaced with gold and silver as the medium of exchange and store of value. People living around the time of the Babylonians valued their commodities and services in terms of gold and silver coins. Soldiers were paid in those coins bearing the mark of the dynasty they served. Different dynasties marked their coins differently. Before the foreign exchange markets came to be, people could only exchange money by physically walking to a bank and exchanging their currencies to the currency they needed. 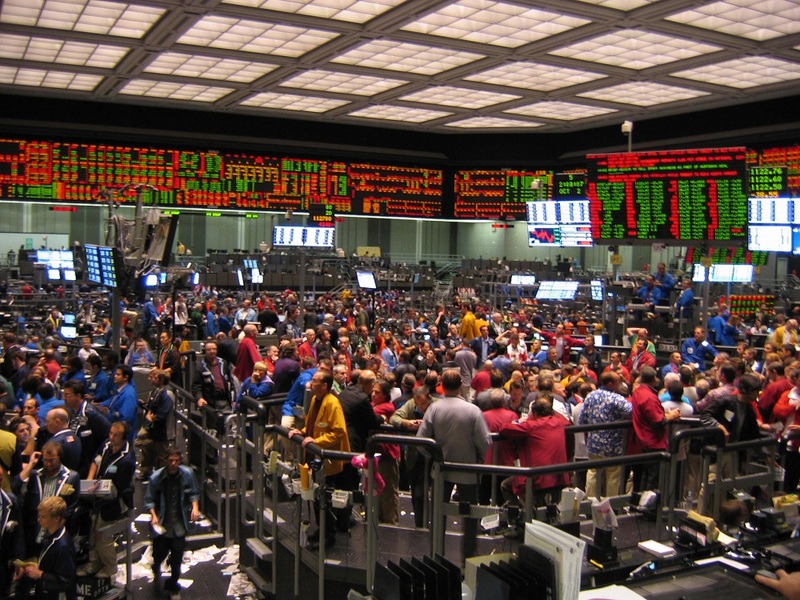 Then came the exchanges such as the CME where traders had an opportunity to trade futures and options. Today, traders are able to trade forex from the comfort of their homes or offices by using computers that are connected to electronic exchanges via their forex brokers. All trading is done over computer networks between traders in different parts of the world. Also, unlike the stock market, the foreign exchange market is open 24 hours per day, because it is a global market. A trader in Hong Kong may be exchanging currency with a trader in Australia while an American trader is sleeping. Retail traders can now trade different currency pairs provided by their chosen brokers by looking at the floated exchange rates. The buying and selling of currency pairs is guided by the traders’ perceptions of the value of the assets they are trading. Today, forex brokers from leading companies such as FXCM, HotForex, ICMarkets, FXPRO among others pair buyers and sellers in the market. Forex market is the most liquid and it is estimated that it will continue to grow both size and liquidity as more and more participants continue to come into the market. The volume of Forex transactions processed during London trading hours is typically close to 30% of the world‟s total daily volume (or about $580 billion US). New York does a little better than half that, with around 16% ($330 billion US). And finally, Tokyo typically sees about 10% ($210 billion US). The Foreign Exchange market (Forex) is truly the largest exchange in the world. The amount of dollars traded on the Forex market on a daily basis is in the trillions. Simply said, no other trading instrument comes even closely to forex market when it comes to liquidity, 24hr market environment and last but not the least, profit potential. 3.Who are the Participants in Today’s Forex Markets? Most of this currency trading takes place between between large banks, central banks, currency speculators, multinational corporations, governments, and other financial markets and institutions. However, individual traders are starting to get in the mix, using internet discount brokers to participate in the currency exchange market. Commercial Banks – Large commercial banks are important participants in the forex market. These banks trade currencies in the interbank market (https://www.investopedia.com/terms/i/interbankmarket.asp). Here, these big banks get to trade currencies among themselves through electronic networks. Central Banks – Central banks play a very critical role in the Forex Market. They are the ones responsible for forex fixing, meaning that they fix the exchange rate at which their countries’ currencies will trade in the open markets. They help in stabilizing their currencies with the aim of increasing the competitiveness of their individual economies. Foreign Exchange Brokers – The brokers operate in the international currency markets but their role is simply that of a matchmaker. They help to facilitate trading between buyers and sellers. Corporations – Major corporations conduct their businesses across national borders meaning that as they engage in the import and export business, they must exchange their local currencies to the currencies of the country from where they are importing and vice versa. Retail traders and individual investors – The volume traded by this group is smaller (at about 20%) compared to that traded by major banks (which stands at about 80%). This group comprises of the speculators in the market who take positions with a hope of making a profit from fluctuations in the exchange rates. 4.How Does Forex Trading Work? As stated earlier, different countries have their own currencies valued differently relative to those of their neighbours. Today, these currencies are traded on what is known as the forex market. Compared to the stock market, equities market and the futures market, the Forex market towers above all of them with over $5 trillion being traded on a daily basis. Just like any other market, the forex market is a place where buyers and sellers buy and sell currencies. In the forex market, the buying and selling of currencies occur simultaneously. This means that as you buy one currency you will be selling the other at the same time. In forex market, currencies are always priced in pairs and trades result in simultaneously buying of one currency and selling of another. The objective of currency trading is to buy the currency that increases in value relative to the one you sold. If you have bought a currency and the price appreciates in value, you must sell the currency back in order to lock in the profit. If you think the euro will strengthen against the dollar, you will buy the EURUSD, because a strengthening EURO will cause the price of that pair to rise. You profit on the difference between the price you bought at, and the upward distance the price moves. Selling EURUSD means you expect the price of that pair to drop. In this case you profit on the difference between the price you sold at, and the downward distance the price moves. You can also use derivative products, such as options and futures, to profit from changes in the value of currencies. Check out our article on Binary options for more information. Currencies are quoted in pair. The first listed currency is known as the base currency and the second is called the counter or quote currency. Currencies are quoted using five significant numbers, with the last placeholder called a pip. The quote includes a “bid”/ “ask” price. For example, a EUR/USD quote 1.3023/1.3028. The different between the bid/ask price is sometimes called “spread”, which is the cost that trader must bear to establish a transaction. Lots Currencies are bought in „Lots‟ and the size of that lot depends on the account type. A standard account has a minimum lot of 100,000 currency units, or a mini trading account is a minimum lot of 10,000 currency units. Now as you can see from the illustration above, the difference between the ask and the bid is 1 pip. Wait a minute, what is a pip? Pip is an abbreviation for percentage in price. It is a unit of measurement used to measure the change in value between two currencies. Most currencies, with an exception of the Indian Rupee and Japanese Yen are quoted in five decimal places with the last figure representing a pipette, which is nothing more than a fractional pip. Therefore, the figure on the fourth decimal place represents the pip. Since the PIP is standard unit for measurement in currency movement in the forex markets, we can therefore infer that the spread (Ask-Bid), profit and loss in forex are all measured and expressed in pips. Margin is the good faith deposit that you have to deposit with your broker for you to be able to buy and sell currencies in the forex market. This is the amount that the broker loans you to enable you to trade bigger positions. There is a minimum margin requirement that the broker sets. Leverage is often presented as a ratio say 1:100 meaning that for every 1 unit of margin you invest, the broker will be willing to lend you 100 units. So, if you invest $1000 and take a leverage of 1:100 you will be able to trade units totalling to $100,000. Usually, the amount of leverage provided is either 50:1, 100:1 or 200:1, depending on the broker and the size of the position the investor is trading. To trade $100,000 of currency, with a margin of 1%, an investor will only have to deposit $1,000 into his or her margin account. Although 100:1 leverage may seem extremely risky, the risk is significantly less when you consider that currency prices usually change by less than 1% during intraday trading. Caution is highly advised when trading with leverage for it is a double edge sword and if mismanaged, it can lead to large losses. This is an order used to instruct the market to take you out if the market goes against you by so many pips. This is an order used to instruct the market to take you out if the market goes in your favour by so many pips. Having looked at some of the key definitions you need to acquaint yourself with, now let us move on to the practical part and let us answer some tough questions. This is the price you can buy a currency pair at. Or the price at which the market is willing to sell the currency to you, more to the point! The bid price is the price you can sell a currency pair at. The market is willing to pay you this price for this particular currency. Spread are the difference between bid price and ask price. This is where most brokers make their money! The wider the spread, the more you pay to trade. The most traded currency pairs have the narrowest bid ask spread. This is the price that a pair trades at market right now. This type of order is basically buying or selling the market price as is currently being traded in the market, no questions asked, no answers given! On the other hand, allows you to specify the trade entry price. So if you are looking to sell off an established resistance point, you can enter the trade with that information in mind, and if that trigger price is hit, then your broker will automatically place the trade as specified. 6. Can I Make Money in Forex and If yes, How? By now, you know too well that forex trading is a business venture like any other, right? Well true as that may seem, this might be a half-truth. let me explain a few things to you right now. I am not going to give you false hopes, NO. Allow me share with you the brutal truth and maybe just maybe by so doing you will come into this business well prepared to make money. Are you ready for the truth, the whole truth and nothing but the truth?? However, being a high-risk investment, you also risk losing ALL your money. Forex trading has one of the highest drop out rates. Now, as someone planning to come into this business, it is therefore important for you to find ways by which you can avoid joining the losing club and instead be part of the 4% of those making consistent profits in the market. By this point you might be asking yourself. Can I hack It? Can I make it in Forex? You can join the winning team and make the money consistently. One very important property of forex market is the fact that trends in forex market last longer and are more clearly defined than in any other trading instrument. What FOREX traders do is much less risky than trading currencies on the futures market, meanwhile much more profitable, and a lot easier than trading stocks and equities. When you get the business right, trading Forex can be as easy as picking money up off the floor. Successful traders grow their equity through compounding. Have a few advanced risk management strategies up your sleeve to cut your losses and improve your gains. Even if you are 40 per cent accurate and lose half of what you win, you will still make hell lots of money! As you now know, all the above is not anything new. This is a very simple approach which, once implemented properly will lead you to success in this game. At the same time, it is also important not to fall into common forex trading traps. Is that it? Well… It is! The problem is, many traders don’t understand it and they commit their time and money to find this so called “Holy Grail”. They don’t exist. They move from one technique to another but they never master basic principles. Hard work, understanding, learning and persistence are the keys to be successful in this game. Now that you have decided that you will trade right, how much money can you make, and is there a chance of losing money? When it comes to determining how much you can make per month, it is highly advised that you think in percentages then work your way back to the dollar amount. Most professional forex traders make between 1% to 10% per month. 5% of $10,000 will yield $500 per month. Depending on market conditions, you can make this or more. Remember, professional traders make between 1% to 10% per month. Risks is part of this business. But, you must learn to take calculated risks. That is why a stop loss exists. It helps you to determine in advance how much of your trading capital (margin) you will be willing to risk in any particular trade. As a rule of thumb, you should ideally not risk more that 2% of your equity on any particular trade. Assuming that your equity is $10,000, target to risk 2% of that which comes to $200. Another rule of thumb, only settle for trade opportunities that promise you a return that is greater than the risk. For example, if you are risking 2% target to make 4% or more from that trade. Now that I have covered the basics, let us now delve a little deeper and discuss what you need to join this business. You need to invest money in the markets for you to trade. Capital requirement varies from one broker to another but ideally set aside a substantial amount of capital for trading. Your capital will be determined by two key things: Your financial muscle and your trading goals and target. A broker connects you to the forex market making it possible for you to access real-time data on exchange rates. There are many brokers in the market. Make sure that you choose a broker that is regulated. The broker must also have been tried and tested. Once you have a broker account, you can then download a trading platform from the broker’s website. 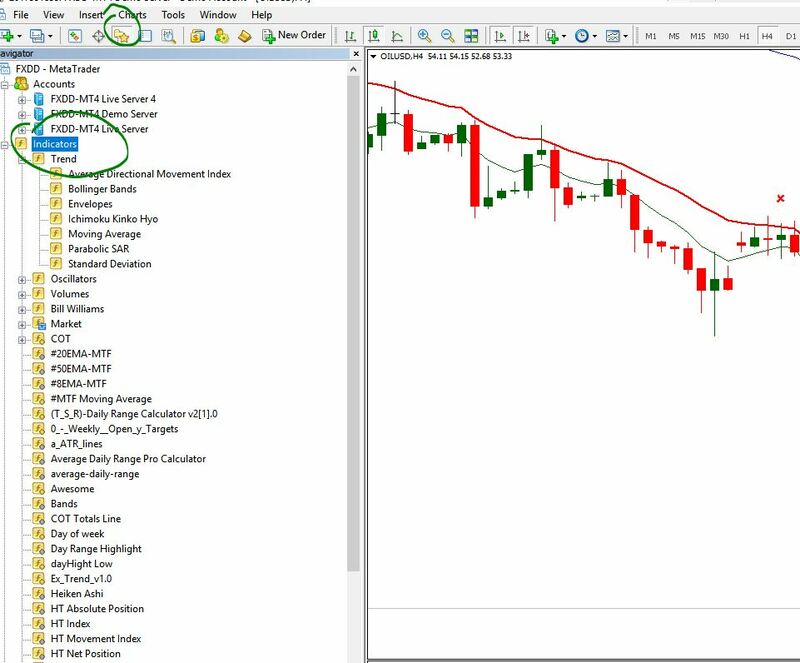 Examples of platforms available to traders include the MT4, MT5 and Ctrader. Others also have their own proprietary trading platforms. Just like in any other business, success in forex trading requires that you have a trading plan. This plan will help guide you through your trading career. A strategy will tell you when to buy or sell a currency pair. You should be able to settle on a trading strategy once you have completed your forex education. Based on your analysis, you will then be able to make the decision as to whether you would want to buy or sell a currency pair. I believe that it is; however, you must approach it as a marathon and not a sprint.